Join us for 4 days of laughter and learning! This interactive courses is for adults who wish to learn how to make Yoga safe, effective and engaging for children. The course is based on sound child development principles. The ancient science of Yoga is used to create fun, appealing, age appropriate activities that kids love. You will acquire many tools and techniques to share with the children in your life as well as a deeper understanding of Yoga. Previous Yoga experience is helpful but not required. Both practice and discussion are included so dress comfortably and arrive ready to play. By the end of the course you will have complete lesson plans to use, plus ideas for many more. All made entertaining and appealing to children, and tailored for specific age groups. Ganga Chaitanya graduated from International Sivananda Yoga teacher training course in 2009 and Advanced yoga teacher training course 2010 at the Yoga Farm in Grass Valley USA. She is also a graduate of the “Yoga as Medicine”, “Yoga Psychology”, and “Ayurveda and Yoga Wellness” course. She has been the director of the very dynamic Sivananda Yoga Centre in Ho chi minh City since 2011 and took her brahmacharya vows in 2017. Saraswati graduated from International Sivananda Yoga teacher training course 2010 in Vietnam. She is also a graduate of the, “Yoga Psychology”, “Ayurveda and Yoga Wellness” course and “Ayuvedic massage therapist”. She was staff at Sivananda Yoga Vedanta center in Ho Chi Minh from 2010 – 2013. 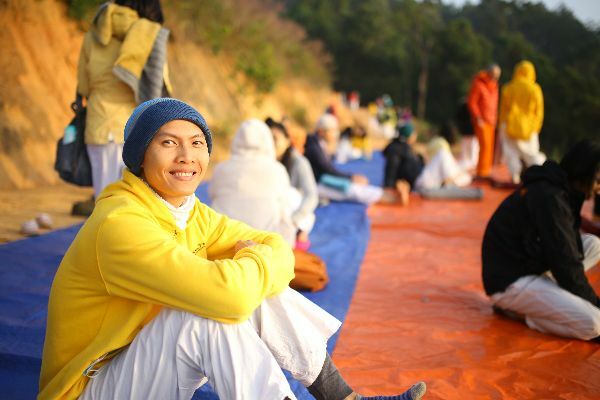 In 2014 she assumed the responsibility of directing the Sivananda Yoga Centre in Dalat City and in 2017 she is assistant director of the new Sivananda Ashram in Dalat. She enjoys teaching beginner courses, yoga for kids along with ayurveda and healing. Arrival: Check-in time is between 12:00 – 2:00pm on Day 1. Please do not arrive any later than 7:00 pm. Departure: The course will finish at 12:00pm on the final day. Please check-out of your room by 12:00pm.